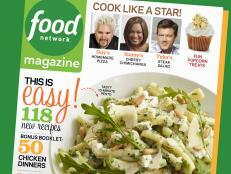 Find easy recipes for appetizers, main dishes, sides and desserts plus 50 after-school snacks from Food Network Magazine. 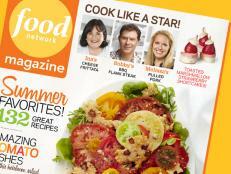 Celebrate the end of summer with fresh fruit desserts, over a dozen new grilled kebab recipes and more. 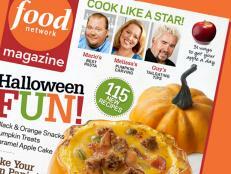 Plus, find back-to-school snacks and easy weeknight meals in the bonus Kids' Issue. 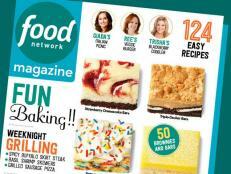 Get weeknight dinners, all-star apps, 50 confetti treats and more! 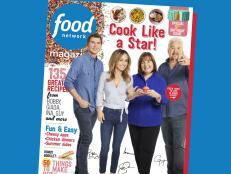 Find easy recipes for appetizers, main dishes, sides and desserts plus 50 things to make with bacon from Food Network Magazine. 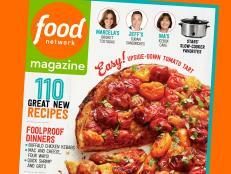 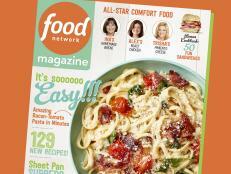 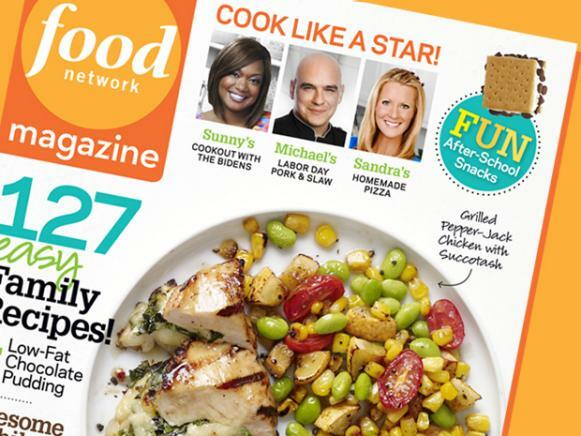 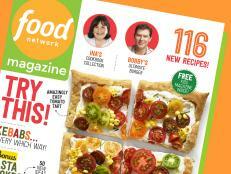 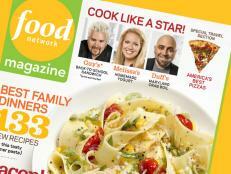 Find easy recipes for appetizers, main dishes, sides and desserts plus 50 panini from Food Network Magazine.